You probably find yourself here because the front window in your Lexus ES350 isn’t working properly. 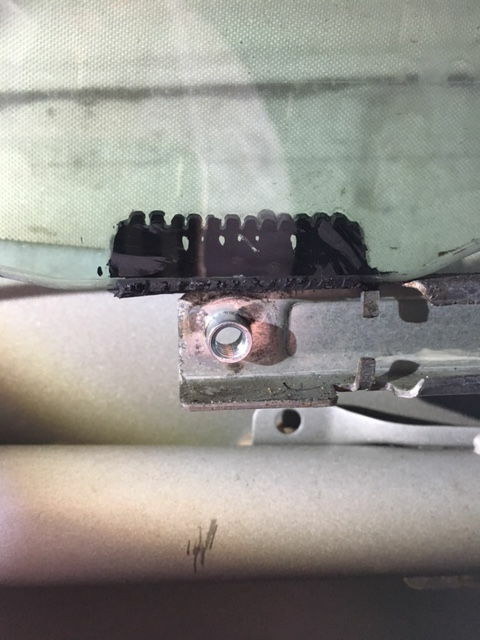 You’ve probably discovered that one of the plastic clips that connects the window regulator to the window has broken. Maybe you have a different Lexus with the same problem. Of course you aren’t alone. This has happened to a lot of people and will probably keep happening for as long as these cars are on the road. 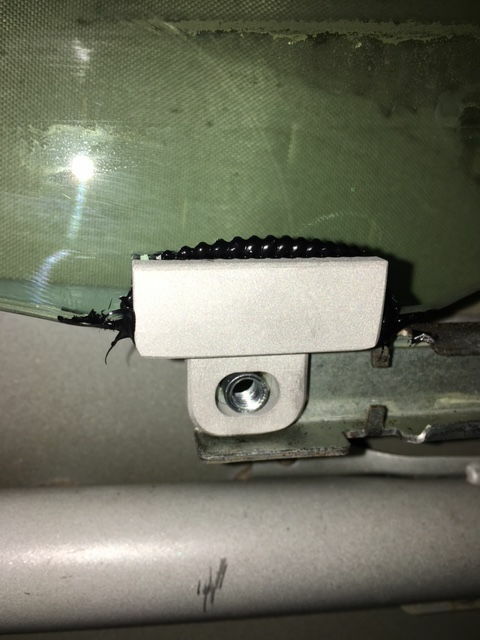 My first product involves this now-infamous broken window clip. 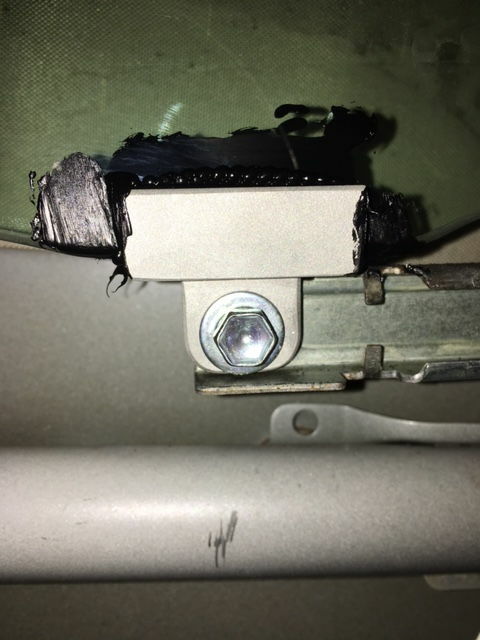 Here’s what I did to fix my father-in-law’s ES350, and what you can do to fix your Lexus window. 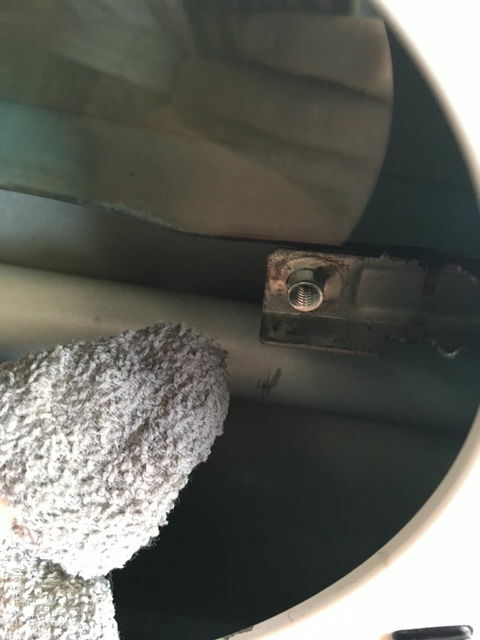 My father-in-law and I went through the process of reporting the problem to the Lexus dealer, and attempting to negotiate a free or discounted repair. They agreed to fix the problem for the retail price of the window (sparing us the labor charge). This was still going to cost ~$400 and we thought we could do as good of a job for less $$$. First, you’ll notice that the point of failure, at least on this part, is a very thin section at the bottom of the U. This makes sense..there’s absolutely no reinforcement in that area…it’s very thin. 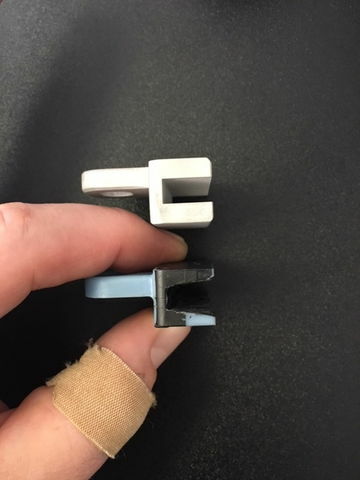 I believe that since the ES350 window is curved, and travels on a curved path, and because the window regulator is straight, and travels up and down quite linearly, that at the extremes of the window’s travel, there are very slight lateral forces being applied to the clip. The part was never designed to handle these types of forces repeatedly. 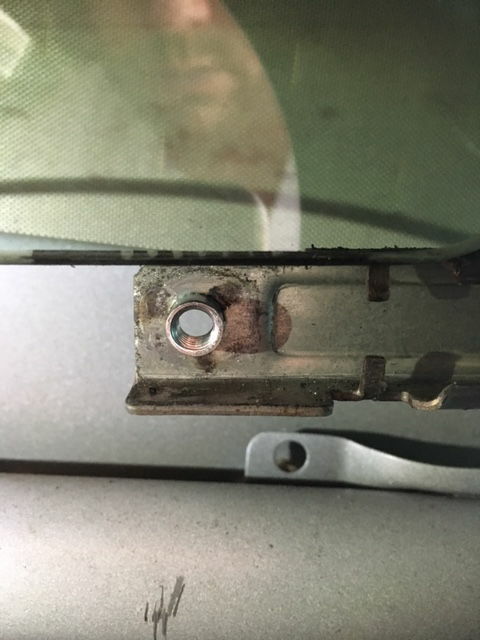 That, combined with thermal cycling of a fairly extreme nature (depending on where you live) and the rate at which the passenger window is actually cycled up and down, leads to a failure of the plastic part. You could argue circularly for hours about whether the motion design or the part design is the true root cause. But, since the motion design would be very difficult to overcome, and the part design fairly easy to overcome, the burden of fault lies with the part. It’s just weak. 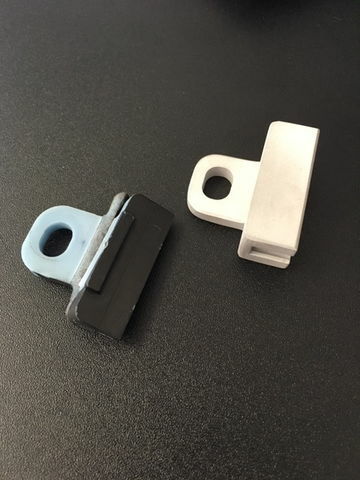 We know from Lexus TSB L-SB-003-09 that ultimately, the manufacturer came to the same conclusion and redesigned the clip on later models of ES350. 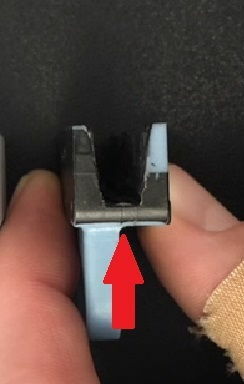 I haven’t seen the redesigned part on the new Lexus windows, but it likely contains bracing or is thicker in the area highlighted by the red triangles in the illustration above. Either way, if you find that your car is suffering from this failure, what are you going to do? 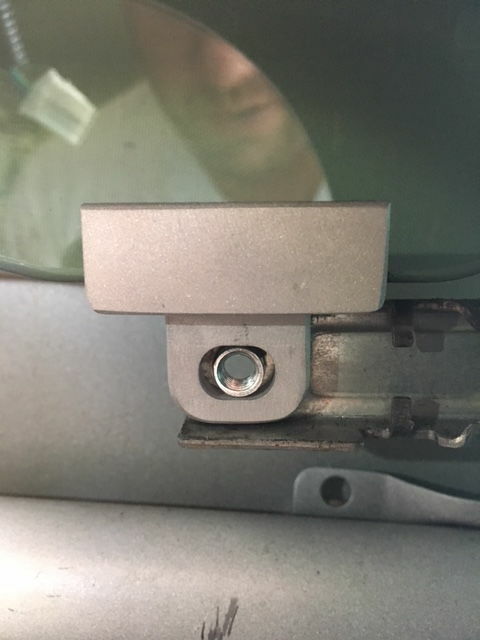 Are you going to spend $400-$1000 on a new window from the dealer? Hopefully not. We took a different path, and now so can you. The new part came out beautifully and I couldn’t wait to get it installed. Looks great and it kind of clips right into place. It’s obvious that the fitment is perfect. 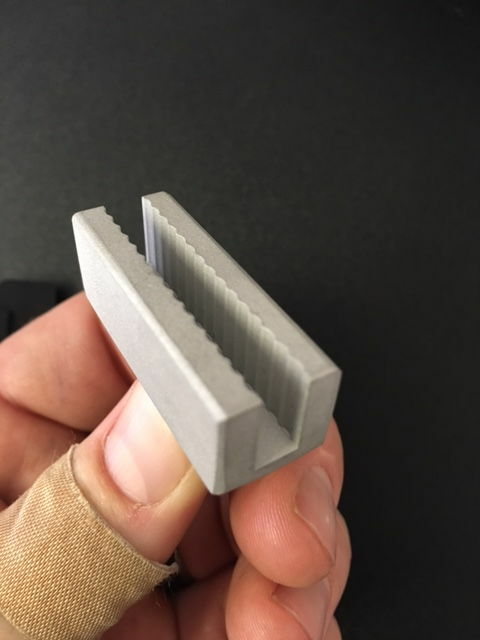 Our bondline is going to be thicker than that used for the lap shear test, which will reduce the overall strength of the bond a little bit, but the takeaway is that this is a tough application-specific adhesive. The adhesive I used is 3M part number 08693 and is available off the shelf at O’Reilly/Autozone/Pepboys/et al for about $15. I used less than an ounce of it. My kits come with one 0.5 ounce tube per part. 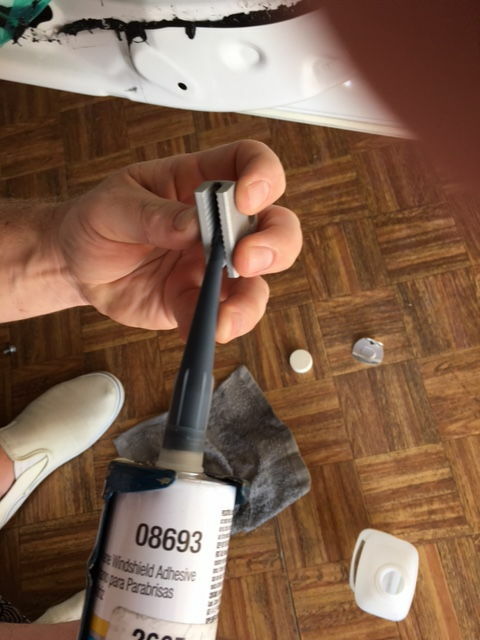 MAJOR NOTE: WEAR RUBBER GLOVES – just touching this adhesive spreads it around like wildfire and it makes a mess. It contains black carbon powder which is just really messy. A lot of adhesive will be forced out. This is good. This is exactly what the factory job looked like. in this case, more is better! The only thing left to do was wait for it to cure then test it and put it all back together. I waited way past the actual cure time of the adhesive and went for about 60 hours before testing. The window operates totally smoothly with no noise at all. I call this a tremendous success. Click here to purchase the complete repair kit. I now offer multi-part discounts and forward/rearward clips as well.